I'm on my way downtown. I work at the Obama Campaign Headquarters on the design team. It's a good day. 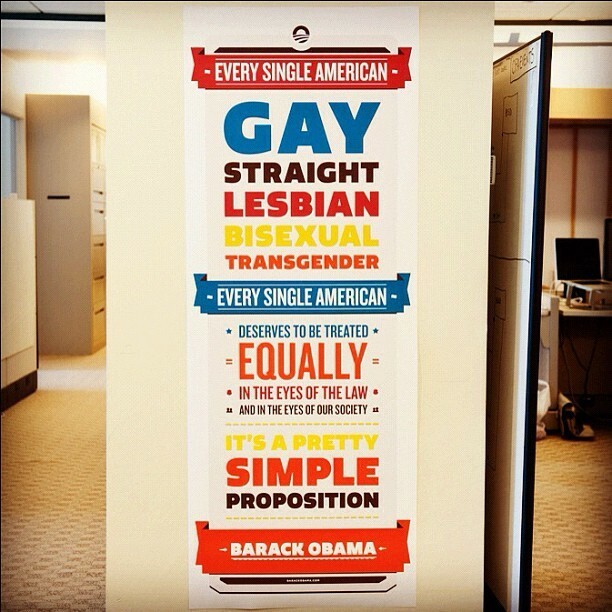 Proud to work for a man that wants equality for all. Tell me about your bike, and where you got it? Two years ago I did the Sadie Hawkins Style Ride to benefit the Chicago Women's Health Center. It is a great partner race usually held in November and takes you all around the city to different check points. At the after party they have all sorts of prizes and a raffle drawing-- all to benefit the Chicago Women's Health Center! I bought a few raffle tickets and walked away with this frame and fork from Traitor Cycles and a custom paint job from Chester Cycles. What are you wearing? Anthroplogie Skirt, basic bright tee, and Oxford shoes from Aldo. Usually this time of year if I'm on a bike I'm in full spandex, racing for a local Chicago cycling team called the Chicago Cuttin Crew. Why ride? I'm not sure I know another way! My ride helps me wake up in the morning and decompress on the way home. Makes places more accessible and life easier. Favorite ride? I've had lots of great rides. One of the most memorable is riding to Milwaukee, WI in the dead of winter for the Frozen Snot Century. 100 miles there and 100 miles back the next day, in February. Snot was definitely frozen, but it was worth it. While riding you …? Occasionally sing out loud, sometimes ring my bell, and always feel free. Got any shout outs? 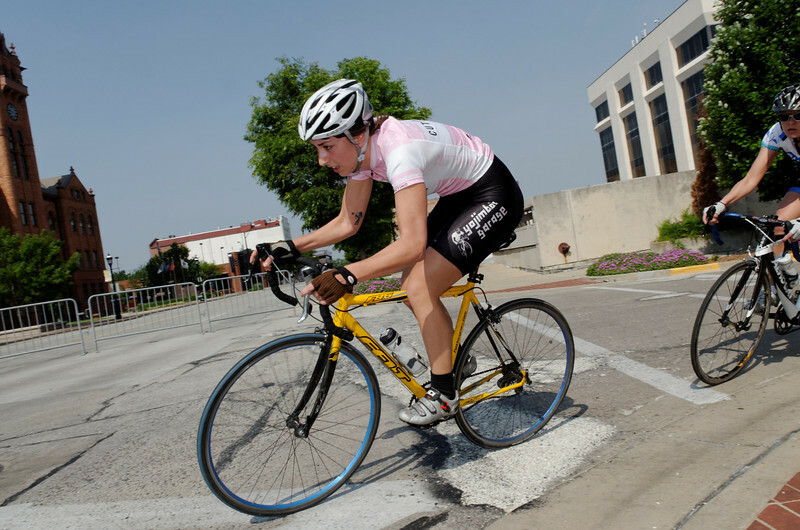 Shout out to the Monsters of the Midway criterium race happening this weekend in Hyde Park-- all day racing, come check it out! Northbrook Velodrome opening night of track racing May 17th. I encourage any women interested in racing bikes, or even just going on a nice ride, to reach out to me or Chicago Women's Bike Racing. There is a great community out there. 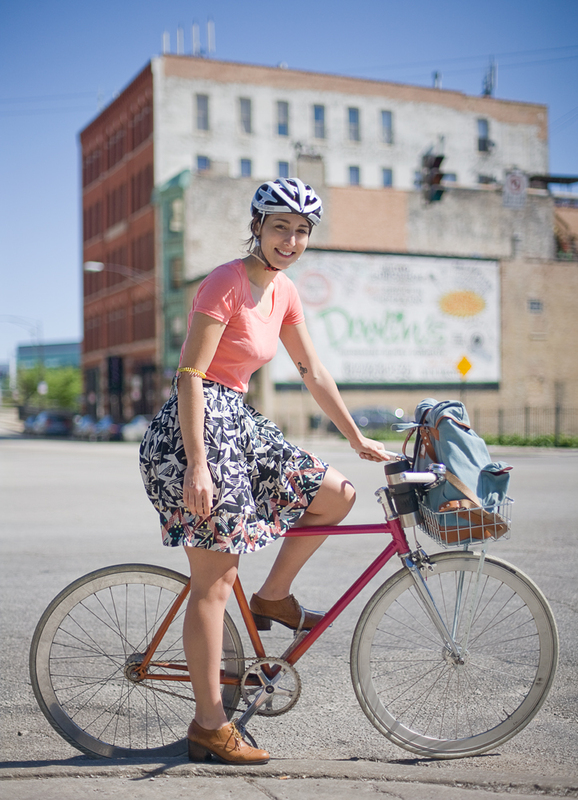 And the Cycle World Messenger Championships are happening this August in Chicago! Great interview and great ambassador for cycling and women's cycling! Way to go, Martha.